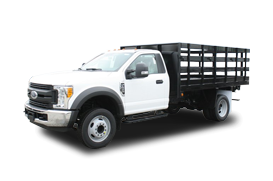 Pairing a Hooklift truck body with a Ford F-550, F-650 or Isuzu NRR commercial truck chassis can be one of the best solutions for landscaping, hardscaping and excavating businesses in the Pittsburgh area, but dont take our word for it. 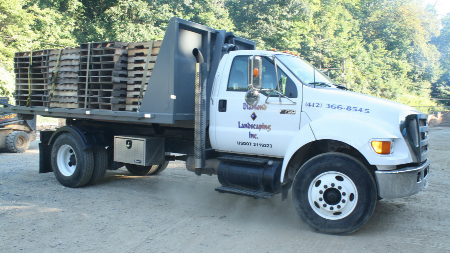 Tom Tomaro of Diamond Landscaping in Pittsburgh came to us looking for a commercial truck solution for his business. He wanted his hardscape and landscape teams to be more efficient out in the field and his current truck options werent allowing him to do that. He knew he wanted to go bigger than the five ton commercial trucks he was using, but he wasnt sure about which direction to go. Tom knew that a hooklift truck would be a little more expensive upfront, but the savings over time would soon become apparent. Allegheny Ford Isuzu Truck Sales was able to deliver a Ford F-750 commercial chassis truck with a hooklift option for loading and unloading boxes and equipment. Toms hardscaping and landscaping teams are now able to drop a box of materials and then send his truck on to another jobsite. Now Tom only has to perform maintenance on the one truck instead of maintaining two. The slightly more expensive hooklift truck has paid off for Tom and Diamond Landscaping in the long run. His team is more efficient and able to work on multiple jobs at one time thanks to the versatility of the hooklift truck. Whether you own a fleet looking for a hooklift capable of hauling up to 20,000 lbs. or 80,000 lbs., Omaha Standard Palfinger has the hooklift options to get your business moving. The team at Allegheny Truck Body has built several commercial hooklift trucks for the small businesses in and around Pittsburgh. Our team is able to offer every option Palfinger has available, from the versatile HAS series to the mighty G 68. 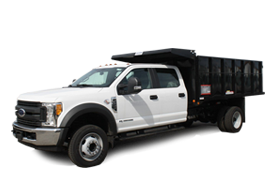 Allegheny Ford Isuzu Truck Sales and Allegheny Truck body are ready to help fleets and small businesses in the Pittsburgh area find the hooklift truck solutions they need to haul and unload the necessary materials that need to be hauled. 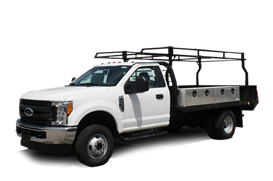 Contact our team through our website, by phone or visit our commercial truck dealership to get started on your hooklift upfit today.